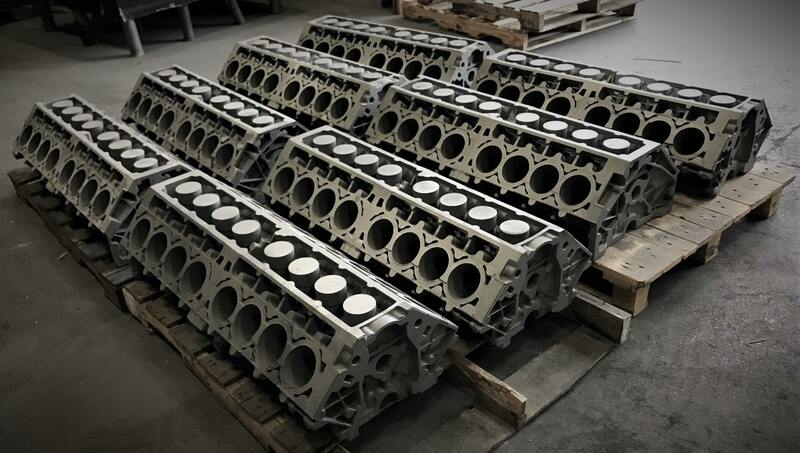 Home Powerboating News SIXTEEN POWER V16 Engines Go Full Scale Production! SIXTEEN POWER V16 Engines Go Full Scale Production! While we all stood in awe as the team from Sixteen Power debuted their stunning LS based sixteen cylinder engines, the questions we all had were if these were going to be another one-off dream, machined in low production numbers to feed the niche part of the market, or would there be viability to move the platform to mass production? Well, we are happy to say it is the latter. The V-16 main component can be seen here as a number of new engine blocks roll of the casting/machining assembly line. This is proof that the brand has made the investment required to build the necessary tooling to become positioned as a serious player in today’s engine market. Congratulations to the team at SIXTEEN POWER! The Lake Cumberland Thunder Run is Here!